One of the CS team members has probably spent more time admiring the insides of Manila’s P.Burgos Street bars than his mother would wish to know, but this could be our Filipino cherry at the festival. And it looks like a cracker to pop it with. 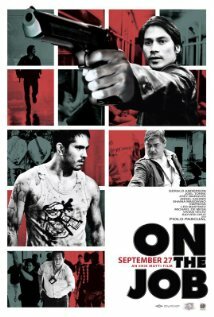 Based on true events and with a poke at the Philippines’ corrupt political system, we’ll be watching it for the straight up action/crime thriller it promises to be.